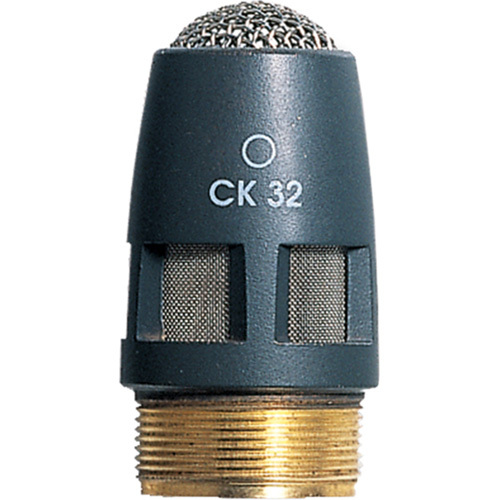 CK32 Screw-On Omni Directional Microphone Capsule Module is only for GN/HM. This microphone is a high-performance omnidirectional condenser microphone capsule and an excellent choice for situations requiring ambiance pickup, like surveillance and recording applications. The CK32 capsule is integrated into a rugged metal housing and fits any mounting module of the DAM Series. To prevent contact problems the capsule is equipped with large-area, self-cleaning, gold-plated contacts with deep threads to prevent misalignment and ensure extra-long life. The package includes a special two-part windscreen, which reduces wind and pop noise. Capsule is an excellent choice especially for lavalier applications, but also for situations requiring ambience pickup.